Small generators are generators with a power rating from 0.6KVA to 4.5KVA. These generators are popularly known as “I beta pass my neighbor” generators and are used mostly for residential purposes. Small generators have become increasingly important in Nigerian homes due to the worsening electricity situation in the country. Compared to big generators which are more expensive to purchase, maintain and refuel, small portable generators are quite affordable, easy to maintain and save the cost of refueling as they tend to use a lesser amount of fuel during operation. Unfortunately, these portable generators are known to break down when used for extended periods of time. They might also require constant maintenance compared to big generators. This review will give you an idea of the cost of small portable camping generators in Nigeria plus other useful details to help you to make a good buying decision. 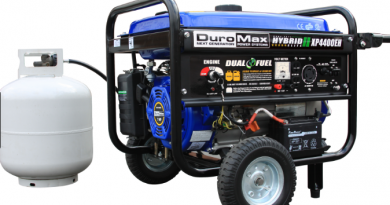 Below are the prices of mini generators in Nigeria. These prices are subject to change depending on where you are buying from (online or offline), your location, currency exchange rate, and the salesperson involved. 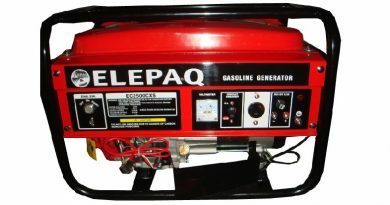 These generators are popularly known as the “I beta pass my neighbor” generators due to their small size and affordability. Although they have a small power rating, they can sufficiently power appliances and electronics like the TV, ceiling fan, DVD player, decoder, and light bulbs. You would want to avoid using certain appliances and electronics when using this generator. Electric kettles, electric cookers, refrigerators, blenders, and pressing irons may draw too much power from the generator during usage. So endeavor to check the power rating of these appliances before using them. These small sized camping generators are ideal for students and bachelors who live in a single room apartment or have few appliances and electronics. The generator is also fuel-efficient, lasting for about four hours for just 1 liter of fuel. These generators are more expensive than the smaller portable types due to their higher KVA. These generators are ideal for those who want to power more appliances and electronics such as pressing irons, refrigerators, electric kettles, and cookers. This generator type also comes with a key (kick starter) starting method which makes it easier to operate and use compared to the smaller portable generator type which uses a recoil starter (rope). They can also be used to operate small businesses due to their high KVA and ability to operate for a long period of time without breaking down. However, they are expensive during long-term use as they consume more fuel and maintenance/servicing could be costly. Today, there are so many brands offering small portable generators with great features and at affordable prices. 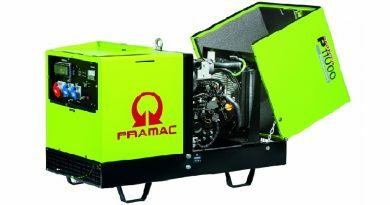 It would be a daunting task going through every generator brand looking at the features, fuel tank capacity, possible maintenance cost, and reliability. Below, I list some key things to consider when buying a model to help you make the perfect choice without stress. Budget: It might sound so obvious for you to consider your budget before making a purchase but if you noticed, Honda generators are more expensive compared to Tiger generators and Elepaq generators of the same power rating. This is because of the high number of features and quality of Honda generators. So when making a budget for a mini generator, ensure your budget fits the kind of quality and features you need. Power Rating: Small generators have the lowest power rating of all generators, but some of them like 2.5KVA generators are able to power certain appliances such as small refrigerators and pressing irons compared to others with a power rating of 0.95KVA. Also, portable generators with a power rating of 0.95KVA will power more appliances than those with 0.65KVA and 0.7KVA power rating. Ensure you check the power rating in the model you are going for and make sure it suits your needs. It is recommended to buy a generator with a power rating that’s higher than what you require. Spare Parts Availability: This is where the popularity and quality of a brand come in play. It is recommended to buy from a popular brand than from a new/unknown brand no matter how cheap the generator might be. This is to prevent the problem of spare parts scarcity which plagues most new/unknown brands. Fuel Efficiency: Mini generators are quite efficient with the 0.65KVA models operating for 4 hours with just 1 liter of fuel. If you go higher in the power rating table, you will definitely need more than just 1 liter of fuel for the generator to operate within the same period of time. Store: Small generators can either be bought online from e-commerce sites like Jumia and Konga or offline from distributors nationwide. Where you buy from will influences the price of the generator set and the cost of delivery to your house. When buying online, it is important to check the user reviews and the seller’s authenticity before making a purchase. When buying online or offline, try to test run the generator before paying and have your receipt and warranty card handy for faults which are listed in the warranty card. Although medium-sized generators are taking over the market as the power demand of most Nigerian’s get higher, small generators still have a place on the market as they’re the popular choice of most students and bachelors.